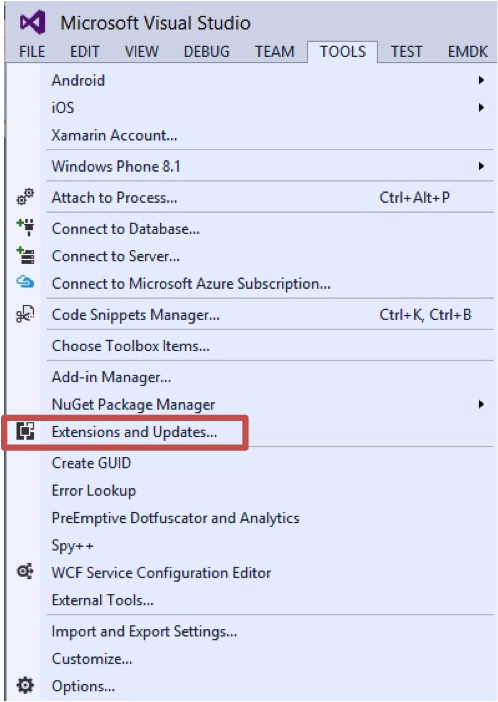 Open Visual Studio and select Tools\Extensions and Updates. Select the Online section in the left hand pane of the Extensions and Updates dialog. Then Select Visual Studio Gallery in the left hand pane under Online. Now enter emdk in the search box in the top right of the Extensions and Updates dialog, and press enter. You should now be presented with a search result, showing the EMDK For Xamarin. 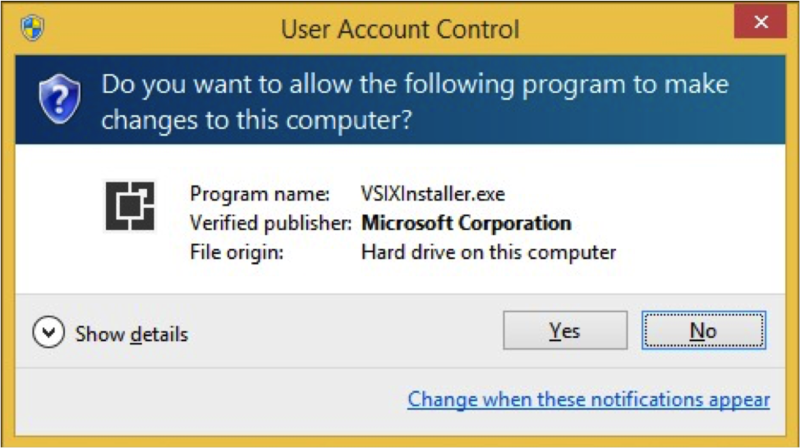 Click Yes when prompted to allow the program to make changes to your computer. 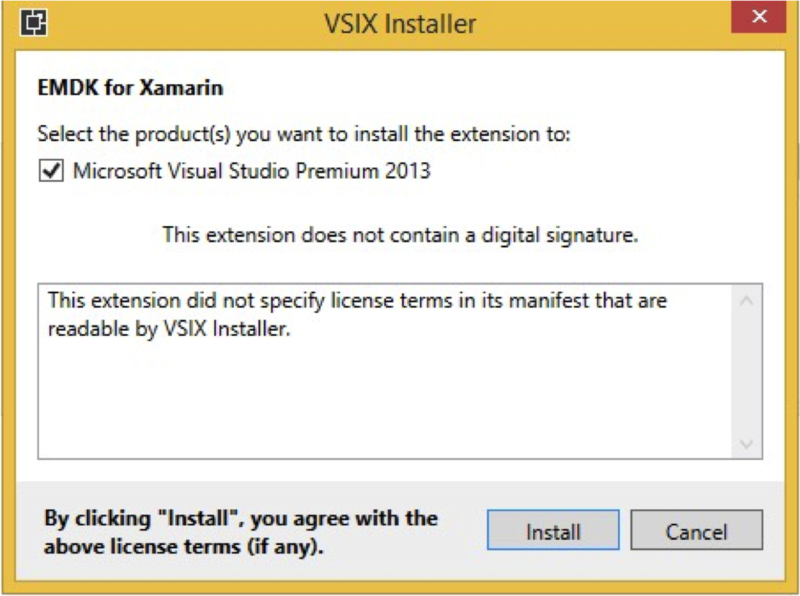 Click Install when prompted to agree to the license terms. 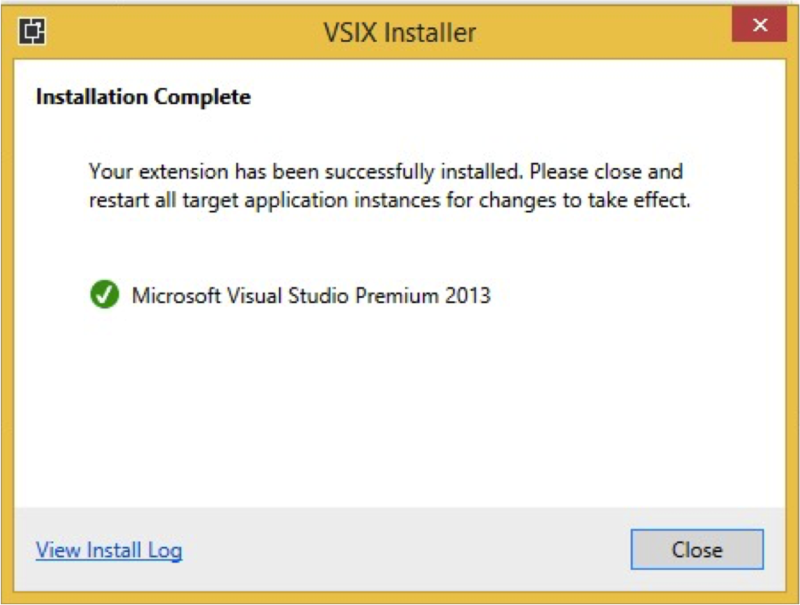 Click Close when the extension installer is complete. 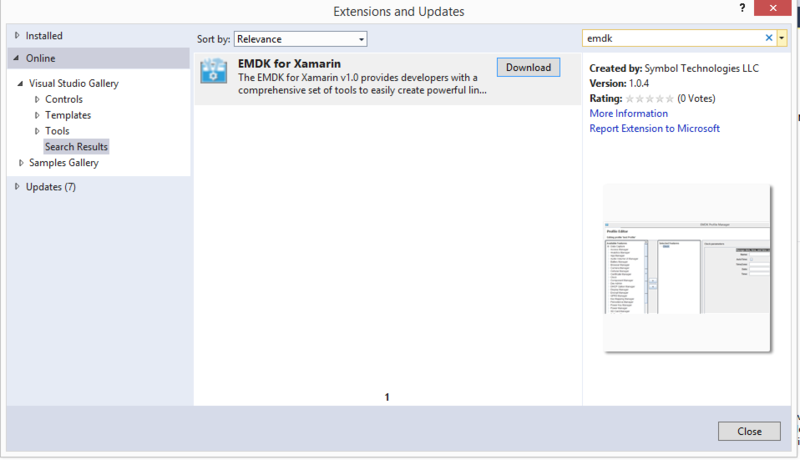 In the search results (center pane) find EMDK for Xamarin, and click the Uninstall button. Then click the Yes button when prompted. The IDE extension copies support files to the your file system in order to perform tasks such as Device Runtime Install. To clean up the support files do the following.